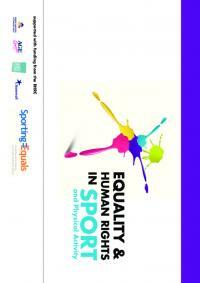 The English Federation of Disability Sport champions disabled people's right to participate in physical activity and sport. This Charter for Change sets out what disabled people say they need to make this possible. 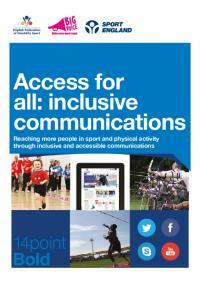 Reaching more people in sport and physical activity through inclusive and accessible communications. 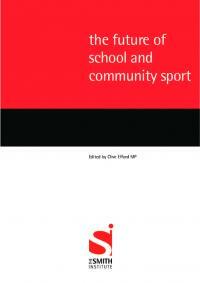 An evidence-based report on how to provide sport or physical activity opportunities for disabled and non-disabled people to take part together. 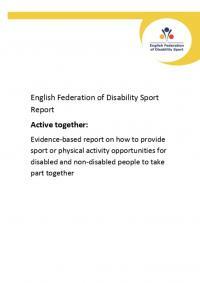 This document provides an executive summary of a research project conducted by the English Federation of Disability Sport (EFDS) in November - December 2012. 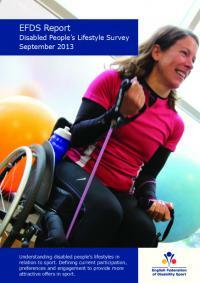 An every day guide for people living with an impairment or health condition.